I have moved to an Adelaide suburb about 30 minutes drive from many in my social network and, while I could visit some, I discovered an inspiration that had never touched my heart so deeply! Having no Internet capacity for a month, was a big disappointment because, I have known of several unanswered emails, may send a message of indifference. While it was inspiring to have had over 6500 views to my Blog-posts, it was disappointing that I could not reply to those who emailed just before and after my move. Yet, while I was gone, the views here climbed to over 6850, which is certainly inspiring to me. The up-side of all this, aside from reading some important books, I was available to watch some early evening TV. I was greatly inspired by such Australian TV programs as X-Factor and The Voice. These featured some teenagers, who had the courage to sing and play music for a studio audience of several hundred people. Actually, I was moved to tears of joy for several who had “failed” in past performances and who were back to make another attempt. Also, beyond the studio audience, viewers were invited to vote by mobile (cell) phone! I have no doubt that these teens are teaching their audiences that courage is a matter of heart. “Cour” is French for Heart! It appears to me that this sort of phenomenon is exceptional in a society that is individualistic, even egotistical and narcissistic, as mentioned in an earlier post on “THE QUANTUM SELF.” No doubt, some might say these teens are feeding their ego. But, I suggest that the courage in their cohort would be more available in their upcoming society and thus, the idea of “success” may be broadened. After all, I have suggested that we are all spiritual beings, having a physical experience. As I have noted, my sense of Purpose seems to have been with me since conception. Thus, it seems that, while my “Purpose” has been in helping people be more comfortable with the normal pressures of daily existence. These teens have a strategy of letting hearts in the audience be lifted to a higher sense of their lives, if even for a few minutes. Since my previous post considered “The Transpersonal,” it is clear to me that the performer is “reaching out” in the quantum field and touching hearts in the audience. While the songs were not necessarily “words of inspiration,” actually, the “medium is the message,” to use term from the 1970s. Such reflections as these, draw me back to some ideas of Dr.Viktor Frankl (mentioned in some really early posts in this series). Frankl coined ideas such as “Noetic Neurosis” and “Existential Vacuum.” He used the word “Noetic” meaning “Spiritual” (from the Greek) because he was concerned that the word Spiritual would be seen as esoteric and not very scientific. Also, his idea of the “Existential Vacuum” would mean that people my feel empty and feel their life was without meaning or a sense of purpose. Also, some people might feel that their life is so empty and uninspiring that they could be seen as having a neurosis or inability to relate to the world they live in. Also, they may not be able to relate to events in society, feeling aimless or purposeless, feeling numb in their existence. For these people, Frankl would bring them back to a search for meaning, deemed to be our birth-rite, flowering in our late teens (as an urge to being given responsibilities) and early twenties (when we feel like we have some mission or purpose). Admittedly, these could take shape earlier with one’s experience of strong interests like these musical inspiring teens “making their mark” on the audiences, who respond with JOY! 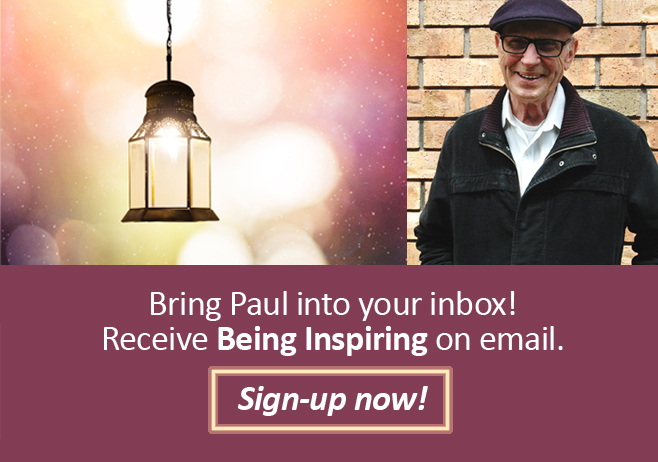 Previous Previous post: How Does The Transpersonal Relate To Inspiration?